Risk management – it sounds like a bureaucratic job title. Nonetheless, risk management factors into countless decisions that woodland owners make. Whether you call it hedging your bets, keeping your options open, or not putting all your eggs in one basket, these are all ways of saying that you are managing risk. Risk management involves weighing the potential positive and negative consequences of a proposed action against the consequences if no action is taken. People apply these principles to all kinds of everyday situations. For example, when choosing a homeowner’s insurance policy, you consider the likelihood of various circumstances to occur. If you live in or near a floodplain, you may purchase flood insurance, even if it’s highly uncertain whether there will be a flood. If a flood occurs and damages your home, and you are insured, the benefit far exceeds the cost of your insurance policy; however, if you are not insured, you may face a personal and financial crisis. If no flood occurs and you are insured, you have only sacrificed the cost of the policy; if you are not insured, you suffer no negative consequences. Now, consider how the situation would differ for a homeowner on a ridgetop. Would he/she be as likely to purchase flood insurance? In this example, flooding is the risk, and the magnitude of the risk depends on the location of the house (floodplain or ridgetop). Some risks you probably already consider in managing your forest include seedling survival, insect outbreaks, storm damage, fire, and changes in market conditions. But climate change might impact the magnitude of these risks. It often takes a catastrophic event for people to think about risk and respond to it. For example, ten years since Hurricane Katrina devastated the forest industry in Mississippi, tree farmers have adapted. 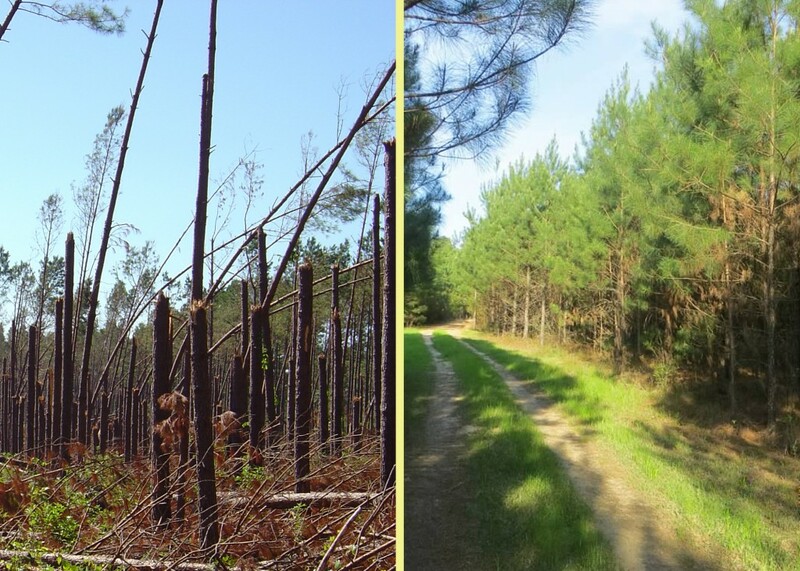 Shifting plantations to species that are more wind-resilient, shortening rotations, and developing markets for storm-damaged trees are all tangible strategies that have been implemented there to reduce the risk from future extreme storm events. Climate projections indicate the frequency of strong storms in the southeast U.S. will rise. Consider a potential effect that climate change may have in your region. Consider how that effect might impact forest growth and function and/or your infrastructure. Determine what, if anything, you can do to mitigate these impacts. Decide on a course of action based on the possible positive and negative consequences of action vs. no action. Here are some hypothetical examples. Hotter summers, more fire danger…can I do anything about it? The risk that forest operations on your property will be limited or shut down more frequently due to fire danger. There are ways to manage these risks, but as we move down the list above, the strategies become more complex or costly. 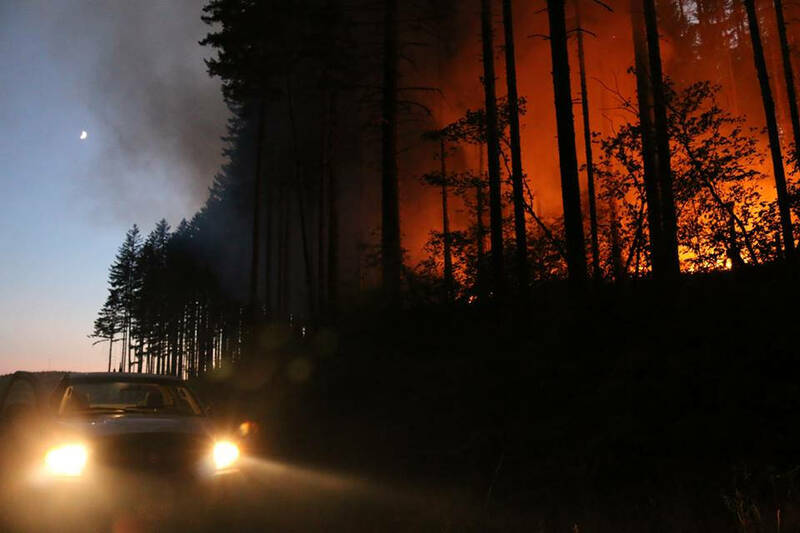 Being vigilant about carrying fire tools during fire season, checking vehicle exhaust systems, and not smoking in the woods are easy and inexpensive ways to prevent a fire start in the first place. The second risk takes more effort to manage, involving creating defensible space, fire breaks, and access for fire trucks. The third might mean that you need to have more flexibility in the timing of logging, hauling and other projects. A logging job that was intended for the summer might extend later into the fall, meaning wet roads to contend with. Minimizing that risk could mean costly road improvements. The lesson here is that not all risks can be eliminated. Risk management means weighing the options and deciding on an acceptable level of risk. Fewer showers, more downpours…what about my roads? Let’s say your forest road descends into a hollow where it crosses a small stream. Climate models say that while total annual rainfall will continue to fluctuate widely, we might see an uptick in the frequency and magnitude of extreme or heavy rain events. The effect might be that your road experiences more erosion pressure – more water moving across the road, in ditches, and under the road at cross drains and the stream crossing. Culverts on forest roads are designed to accommodate peak storm flows, but it is possible that the heaviest storms of the future will be more than your current culvert can handle, and could result in a road washout, soil erosion, stream sedimentation and degraded aquatic habitat. However, replacing a culvert is costly. What is the capacity of your existing culvert? Has it come close to overflowing in the past? If it was not replaced and it failed in a heavy storm, what would be the ecologic and economic consequences? How dependent are you on the road for access? What would be the cost of replacing the culvert with a larger one? Which of the two above scenarios would be more costly and have a greater impact on access and use of the property? 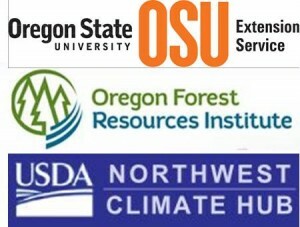 The bottom line is that forest managers have always tolerated risk, because forces of nature, market conditions, and other factors are beyond their control. Climate change may exacerbate some risks and negate others. Future articles in this series will delve into strategies that can be employed to reduce risks to managed forests in light of climate change.